These migration trends are shaping the social and economic development pathways in these countries. While they are not among the countries with the largest number of migrants abroad, the importance of worker remittances in terms of their share of GDP is relatively high, and thus have a significant impact on development. Besides these financial resources, migration also has the potential to contribute to development through channels such as knowledge transfers and investments by return migrants and diaspora members. The impact of future climate change on migration trends, and thus on social and economic development, can only be understood when considering its interrelationship with other demographic, economic, political and social drivers of migration. This Thematic Input Paper (TIP)* provides an overview and a succinct discussion of migration, development and climate change in North Africa. The TIP describes current migration trends in Egypt, Morocco and Tunisia and discusses the links between migration, development and climate change that are relevant to the future socio-economic development of the region. *download available in the right-hand column of this page. Section one describes current migration trends in Egypt, Morocco and Tunisia, provides an overview of some key migration statistics and discusses the risks, opportunities and strategies relevant to migration. Section two looks at the known links between migration and development, describes the national and regional level approaches to migration and development and the links and synergies between migration and development to explore in the future. 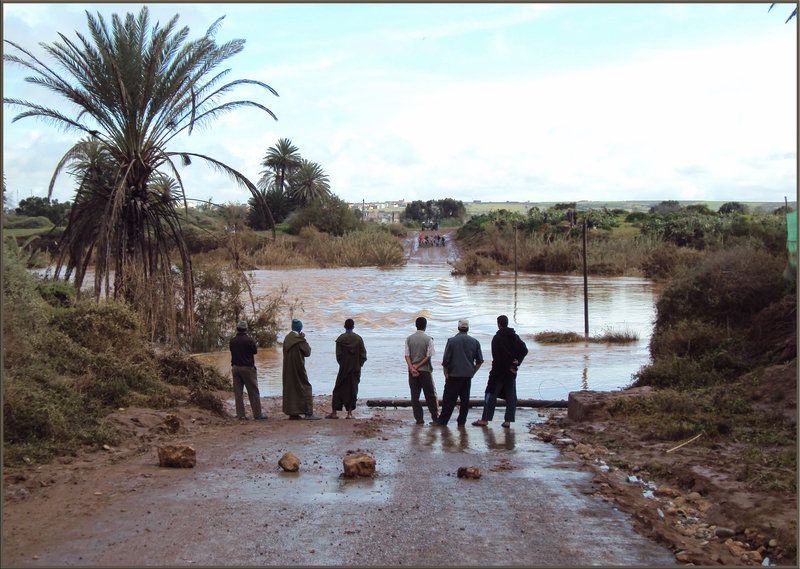 Section three explores the nexus between migration and climate change in Egypt, Morocco and Tunisia, and takes a specific look at the link between climate change, migration and humanitarian crisis, and with remittances. This Thematic Input Paper was prepared for the Swiss Agency for Development and Cooperation's ‘Agadir Regional Thematic Exchange Meeting’ (ARTEM) on ‘Climate Change, Disaster Risks, Migration and Economic Development’ by Dr.Özge Bilgili and Katrin Marchand (Maastricht Graduate School of Governance & United Nations University).